With that the fashion festival was caught in the same struggle; on the one hand organizing an event that made people from all over the world come to Niger and thus get to know this ‘forgotten’ country, but on the other not adhering to the strict Islamic rules imposed by insurgents. 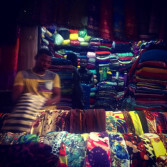 Jorrit R. Dijkstra on the International Festival of African Fashion in Niger. All photos Héctor Mediavilla from Niger Blackstage Seies. 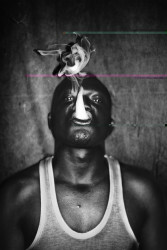 Jorrit Dijkstra reports on the Agility Photo Competition and previews LagosPhoto. Recently the Everyday Africa project celebrated their third anniversary. Featuring photographers living and working in Africa – ‘finding the extreme not nearly as prevalent as the familiar’ – the everyday. Started by Austin Merrill and Peter DiCampo with over a dozen photographers, they keep on adding talent and expanding. Jorrit Dijkstra interviewed the latter about the ins-and-outs of African photography on social media. With documentary photography becoming more popular in South Africa and many of John’s students being involved in it, they are writing their own history. Most of them find it very interesting to photograph the struggling, working class, but also the upcoming middle class serves as a subject for many projects. Jorrit Dijkstra interviews John Fleetwood of the Market Photo Workshop in Johannesburg. PopCap ’14 Award. African Photography. “Photography in Africa is growing in the sense that new publications are coming out featuring work by photographers from the continent, while also various festivals are sprouting and new talents are being featured in the various galleries abroad. Yet as I mentioned, we don’t have adequate institutions that support photography education and without education we will continue to face the challenges of not having quality work that is competitive with the international photo scene”, says Benjamin Füglister of POPCAP ’14 to Jorrit Dijkstra.